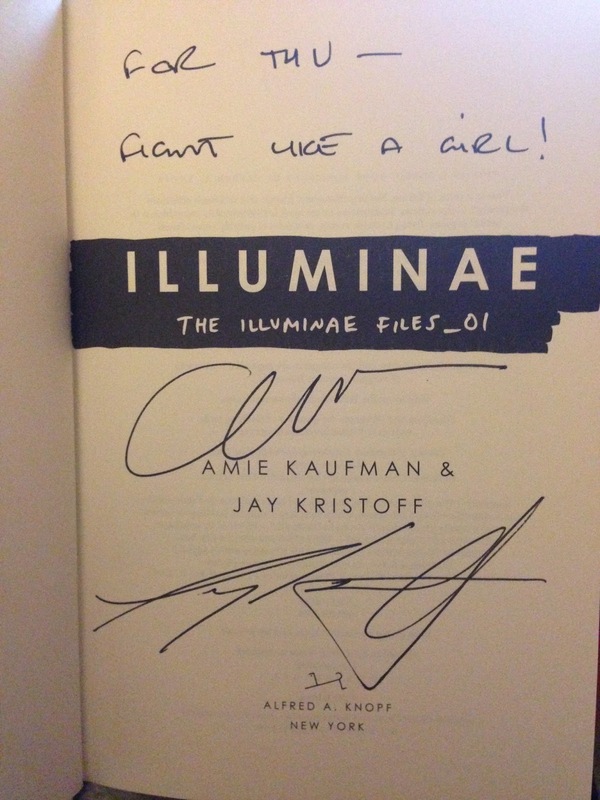 If you've read my recent review of Illuminae, you should not be surprised that I was super excited about authors Jay Kristoff and Amie Kaufman coming to my area on tour to promote the book. It was great! They are funny and charming and Australian (which is cool, because yes, I'm an American who likes hearing accents other than mine! ), and it's easy to see how their partnership and friendship led to the creation of such an amazing story. 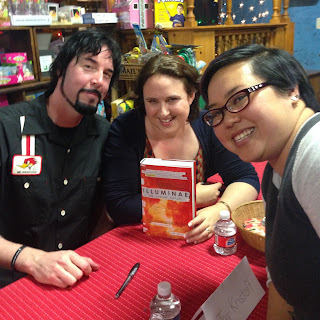 The copy that I read for review was an ARC that wasn't in its final stages, so something that actually surprised me when I heard them speak was that in addition to the casualty list that is in the book (that's all I'll say, because spoilers), there were also photos. I immediately checked my actual purchased copy, and yes - there was a "gallery" of people who died in the [redacted] and it actually brought tears to my eyes. As if this book didn't make me cry enough the first time around. 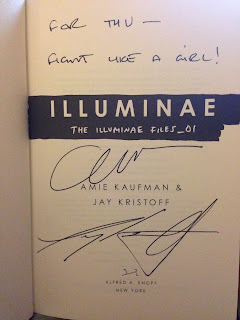 If I didn't love Illuminae enough already, I love it even more now after meeting the authors. I highly, HIGHLY recommend you go pick this one up, preferably in paper form (to be true to the format)!